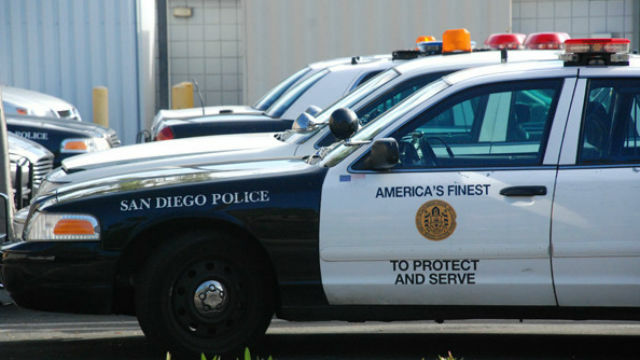 A study that sought to quantify racial profiling in traffic stops by San Diego police officers will be forwarded to the full City Council following a hearing Wednesday before the Public Safety and Livable Neighborhoods Committee. Several members of the public told the committee members that the analysis of traffic stops by San Diego police officers in 2014 and 2015 proves what they’ve been living through. “The report is disturbing but certainly not surprising,” said one of the speakers, Paul Watson. The details, however, produced a mixed bag of results. Among other things, differences were found between the two years in stops that occurred north or south of Interstate 8 and whether drivers were searched, cited or arrested. The analysis by San Diego State University, based on tens of thousands of traffic stop data cards filled out by officers, was limited to stops made for traffic violations, not for drivers who met suspect descriptions, code enforcement actions or other type of service. — matched Hispanic, white, and Asian/Pacific Islander drivers were cited at similar rates. The authors said records of traffic stops conducted in the two-year period were often incomplete, raising questions as to whether data generated by the SDPD‘s traffic stop card system are a reliable measure of how actual contacts between officers and the public were conducted. They also said city residents who participated in focus groups and SDPD officers who completed an electronic survey and follow-up interviews recognized a tension between police and minority community members. The SDSU report included several recommendations — among them an acknowledgement of the existence of racial and ethnic disparities, enhancing training in the area of bias, replacing data cards with an improved record- keeping system and making community engagement a core value. On a motion by Councilwoman Myrtle Cole, the committee unanimously voted to forward the report to the full City Council in February. Among other things, Cole asked the San Diego Police Department to commit to collecting data as called for in new state legislation on racial profiling, to identify potential expenditures that will be needed, and report on how the report’s findings will be incorporated into academies and other training programs.